I don't know much about Google Reader because I don't use it. But if you use Google Reader to follow my blog you need to find another option. I know if you don't have an alternative then you won't be able to visit me and I'll miss you a lot! If you need an alternative, read HERE and HERE about your options. With Google Reader going away July 1st, I'd like to ask a favor. If you are a regular reader of my blog, please go to the block of Google Friends Connect in the right hand column that says Join this Site and sign up! 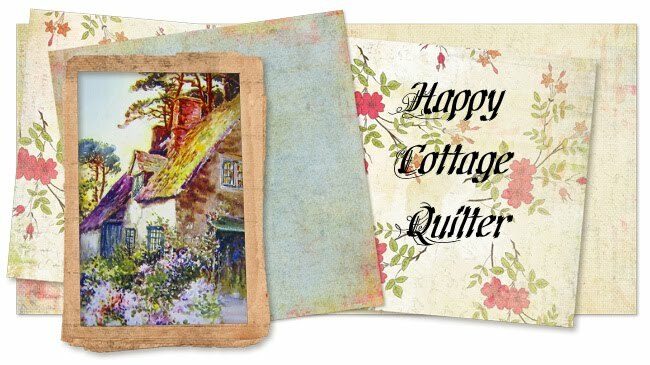 It's just a way to stay connected with my blog posts and lets me know that you visit Happy Cottage Quilter. You can also subscribe by email. There is a box right under GFC where you can sign up to automatically receive any updates directly in your email. Thanks so much. With all the hub bub about Google Reader, and all the other reader options, I'm hoping not to lose any of YOU my special friends during this transition. Do you get this catalog in the mail? 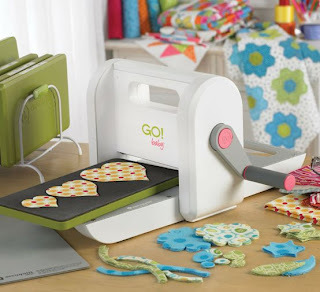 I've got all these projects that need to be finished, and sooooo many pretty fabrics already calling out to me............ and then I get THIS in the mail!! Talk about tempting!!!! So what has been on my design wall for-ev-er!! I was trying to decide how much larger I should make this, and well.......... it's still there. Somebody give me a push to get this one done, please! Red, white and blue. This time of year brings out the patriotic colors. I recently read a post about truncating blog posts. It seems that there are folks out there that have nothing better to do then to pirate your blog. I've not found my blog pirated, but I have been receiving some suspicious comments. Also when I check my stats, there are some very strange sites listed as referring my blog. So I thought I would truncate my blog posts for a while and see if that helps. WOW!! All I can say is WOW!!! Yep, I've got them. 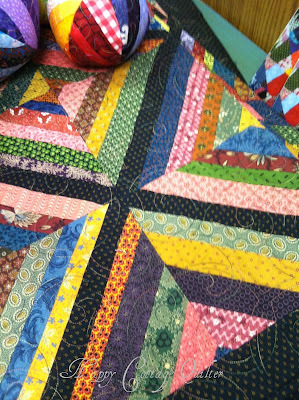 There have been things happening around here, but just not in the quilting department. Sometimes life throws you a hard ball, and you swing and miss. Today, however, I needed to drop off some donations at the local Thrift store. So of course I had to take a little peek inside. I sure was glad that I did. Although some areas were hard hit, thankfully the storms were fast moving. And we received some much needed rain. This is how it looked from my front door. ........dish cloths does one need?? It's been some mindless action, knitting dish cloths.